Dadkah M., Hijacked Journals are Emerging as a Challenge for Scholarly Publishing. Polskie Archiwum Medycyny Wewnetrznej, 2015, 125, 10, 783-784. Eriksson S., Helgesson G., The false academy: predatory publishing in science and bioethics. Med. Health Care Philos., 2017, 20(2), 163-170. doi: 10.1007/s11019-016-9740-3. Lukić T., Blešić I., Basarin B., Ivanović B., Milošević D., Sakulski D., Predatory and fake scientific journals/publishers – A global outbreak with rising trend: A review. Geographica Pannonica, 2014, 18(3), 69–81. McCann T.V., Polacsek M., False gold: Safely navigating open access publishing to avoid predatory publishers and journals. J. Adv. Nurs., 2017, 00, 1-9. doi: 10.1111/jan.13483. Memon A.R. ResearchGate is no longer reliable: leniency towards ghost journals may decrease its impact on the scientific community. Journal of the Pakistan Medical Association, 2016, 66(12), 1643-1647. Petrişor A.-I., Evolving strategies of the predatory journals. Malaysian Journal of Library and Information Science, 2016, 21(1), 1–17. Somoza-Fernández M., Rodríguez-Gairín J.-M., Urbano C. Presence of alleged predatory journals in bibliographic databases: Analysis of Beall’s list. El Profesional de la Información, 2016, 25(5), 730–737. Xia J. Predatory journals and their article publishing charges. Learn Publ., 2015, 28(1), 69-74. doi: 10.1087/20150111. Стерлигов И., Симуляция науки как ответ на управленческий примитивизм. В защиту науки, 2014, 13-14, 213-215. 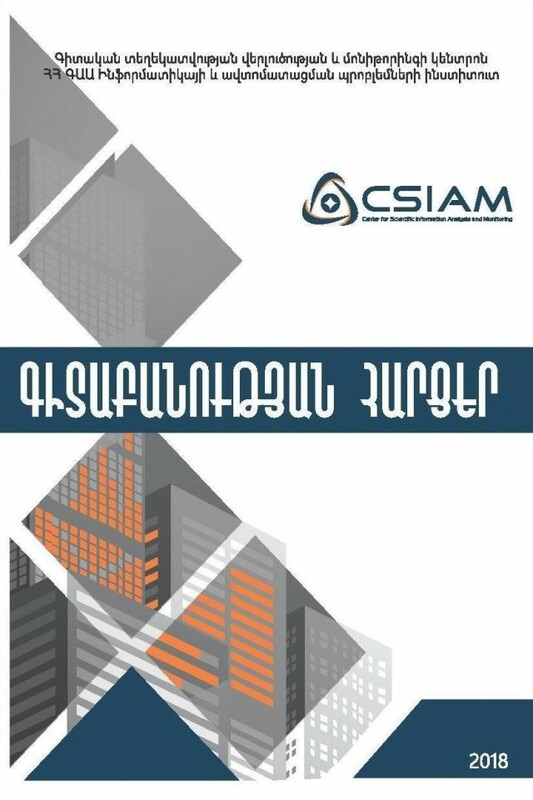 Միրզոյան Ա., Գզոյան Է., Հովհաննիսյան Լ., Ալեքսանյան Ս., Մեհրաբյան Մ., Հունանյան Ս., Մաիլյան Ա., Սարգսյան Շ.